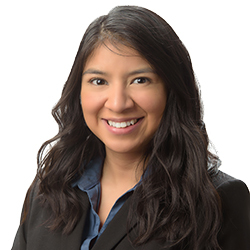 Jacqueline Coreno graduated from the University of Illinois at Urbana Champaign with a B.S in Earth, Society, and Environmental Sustainability in 2018. She also minored in Atmospheric Science and received certification in Geographic Information Systems (GIS). With her diverse educational background, Ms. Coreno was able to conduct her own research during a field expedition in Costa Rica. She was able to study the sustainable practices as well as environmental issues impacting Costa Rica including sustainable agricultural practices, runoff, and waste. Ms. Coreno has conducted GIS research using both ArcGIS and GeoDa software. Along with her educational experience, she also worked as an intern at the Illinois State Water Survey analyzing heat waves from climatological data and researching mitigation plans implemented in Illinois.